This is the picada used in the Romesco de Peix – Catalan Fishermen Stew. Without the picada, Romesco de Peix wouldn’t be romesco. I am not Catalan and have never been to Spain. I do, however, read and speak a little Spanish, though. So, when I started reading about romesco, romesco de peix, romescada, picada, etc. not surprisingly, I found a diverse group of opinions. 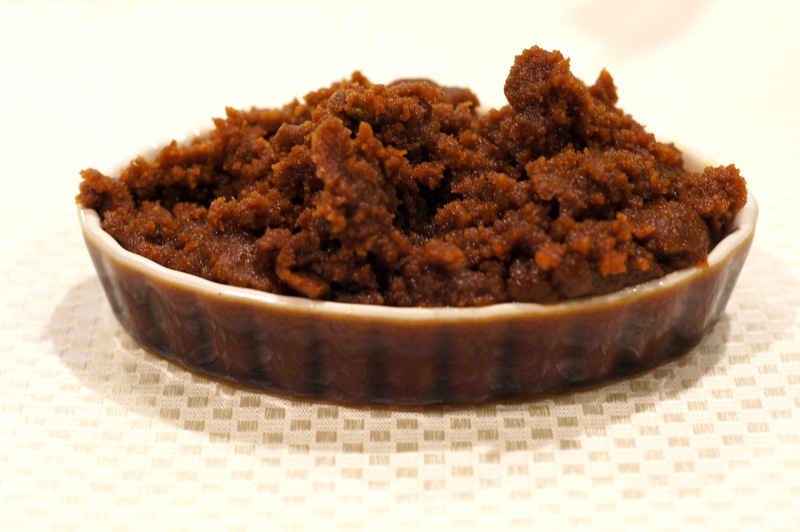 Some people claim romseco de peix is a stew using romesco sauce. Others claim romesco sauce originally started as a fishermen stew and was simplified to a sauce. 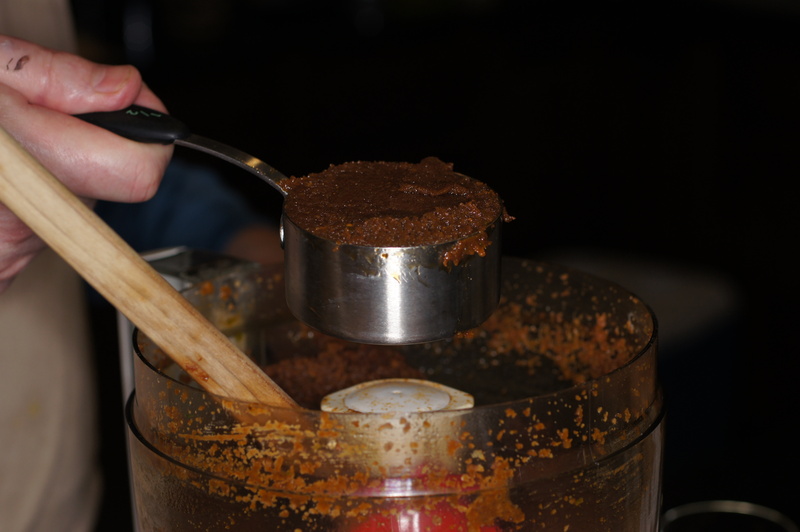 Then, others claim that in making romesco de peix you make the romesco sauce into a picada and add it to the stew. Confusing, huh? Well, to straighten things out from a US perspective, romesco sauce is not a picada. Instead, picada, although considered one of the 5 basic sauces of Catalan cuisine, is not a sauce under the classical concept of a sauce. To the contrary, picada is a combination of nyora chile, garlic, fried bread, almonds/hazelnuts, and olive oil with other possible additions like saffron, chocolate, parsley, etc. that is used as a thickening and seasoning agent. It’s similar to a roux except it is more digestible because it is cooked flour (as opposed to raw flour in a roux), does not have the true thickening properties of a roux and has a more complex flavor than a roux. 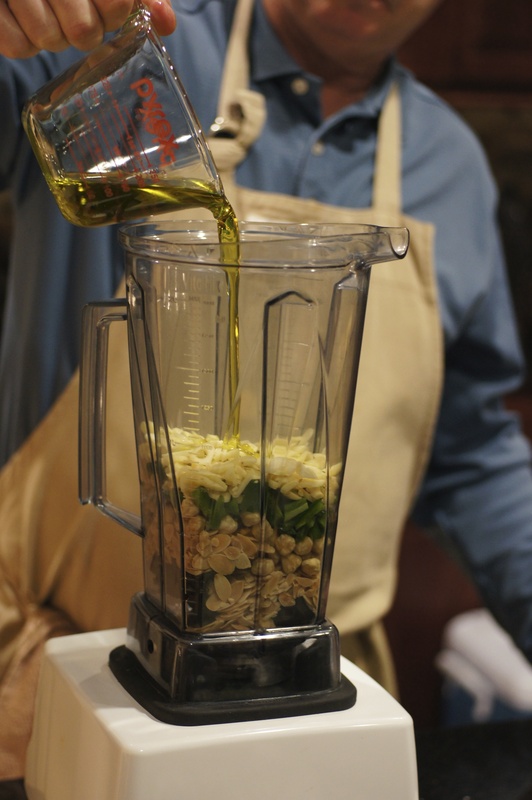 The closest relative of picada is pesto, except pesto really is a sauce with specialized uses. Like pesto, however, there are innumerable variations on picada. 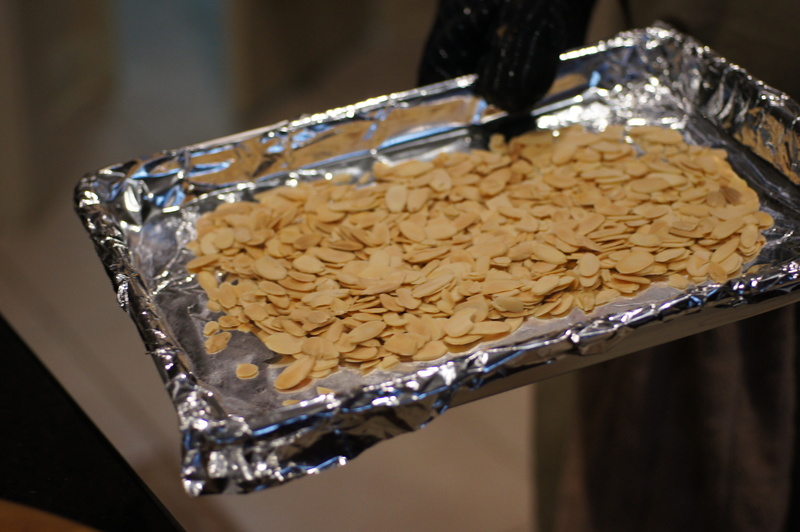 You can also use picada in a variety of uses, i.e. romsesco de peix, seasoning for veggies or meats, etc. 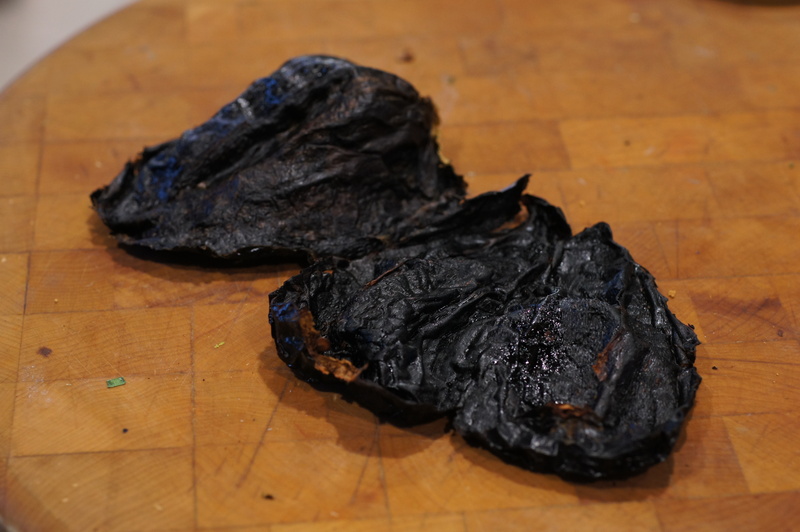 Nyora chiles are not readily available in the US so I substitute ancho chiles. This is the recipe for picada I use. Preheat oven to 350 F. Place almonds on sheet pan and roast until golden brown, roughly 15 minutes. While the almonds are roasting, seed and stem the ancho chiles. 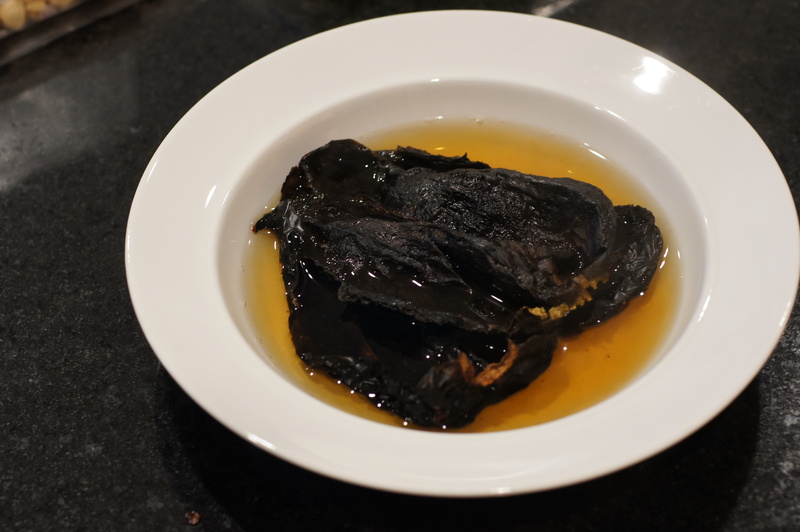 Pour enough boiling water over the chiles to submerge them under a plate. 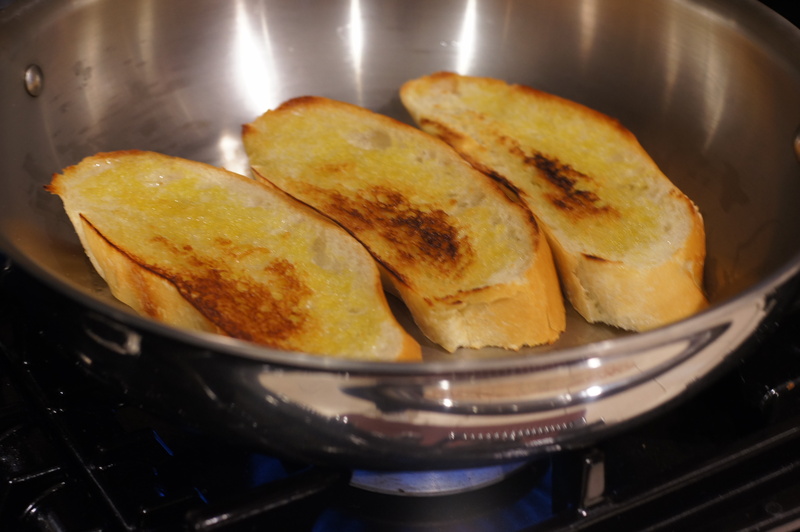 Brush bread with 1/4 cup olive oil and sauté bread slices until brown on all sides. Chop into 1/2 inch cubes. Add bread. 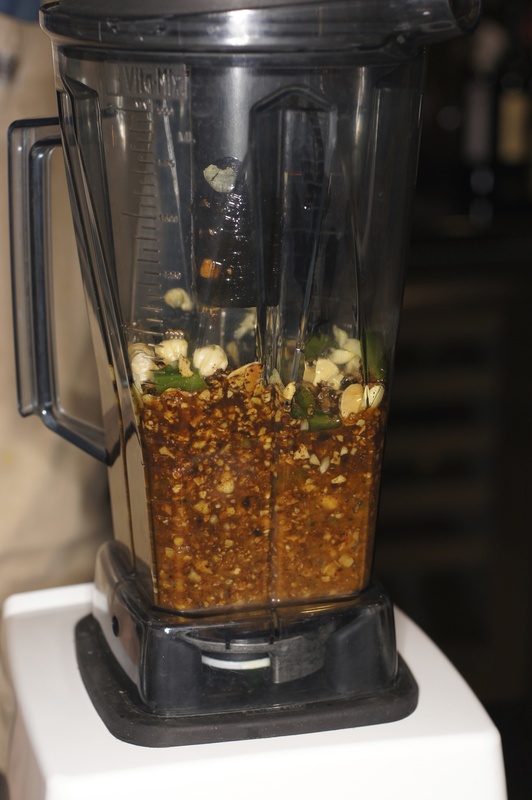 Of course, this is when the Vita-Mix met its match and I had to switch to a food processor. I was absolutely stunned. Process the mixture in the food processor for 4 minutes to ensure a smooth paste. Scrape sides of food processor, as needed. Season to taste with salt. Viola, picada! Go on with yo bad self you is a bad cook .You are right on the money very smart about your cooking method you are a inspiration .I just love your cooking style keep up the good work .I hope one day I can walk into your and a delicious meal .You are a smooth cook.Thank you for sharing your talents. Thanks, Nicole, for your very nice compliment. You are very kind. Delicious. I must say that no one mentioned picada’s during my sauce chapters last year and I’m beginning to think we might have missed out on something. I can imagine a deep tomato and chorizo stew thickened and laden with those delicious fried chillies amongst the bread. Delicious and very summer worthy with my new BBQ at home! Thanks, Alice. 🙂 This is supposed to go very well with grilled veggies so you may want to give it a try on your new barbie. I’m also sure it would be delightful with shrimp skewers on the barbie, too.